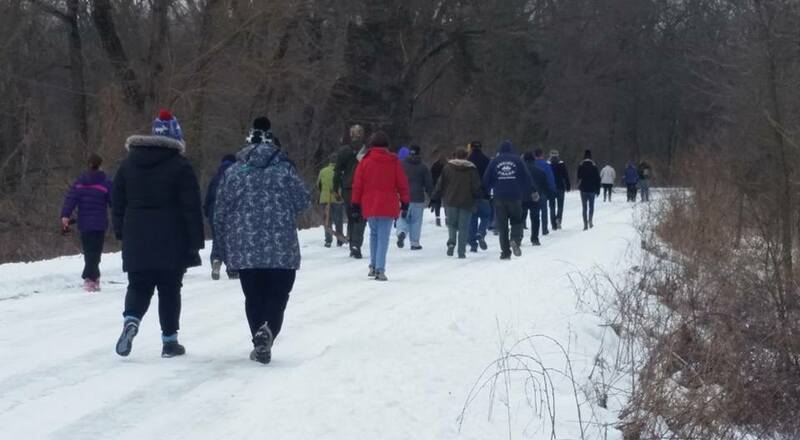 Northeast Iowa residents and visitors start 2017 off on the right foot (hehehe…) with a New Year’s Day Hike at Volga State Rec Center outside of Fayette. Stay connected: With Gundersen Palmer Community Health and Northeast Iowa Food & Fitness! Walk 22 Minutes a Day: Being physically active through walking is one of the most important steps that people of all ages and abilities can take to improve their health. It’s the easiest and most affordable way to move as it doesn’t require special skills, facilities, or expensive equipment. Most people are able to walk, and many people with disabilities are able to walk or move with assistive devices, such as wheelchairs or walkers. Check out more info from the Healthiest State Initiative. 5-2-1-0 Busy schedules; readily available fast food and sugary drinks; computers, cell phones and other electronics…there seems to be many obstacles to living healthy, active lives. According to the Center for Disease Control and Prevention, obesity now affects 17 percent of children and adolescents in the United States. This is 3 times the rate from just one generation ago. But there are ways to turn the numbers around by remembering these numbers: 5-2-1-0. 5-Number of fruits and veggie servings you should eat every day. 2-Hours of screen time each day. 1-Hour of physical activities in a day (but more is even better). 0-Number of sweetened drinks in a day. Get outdoors– Northeast Iowa is beautiful in EVERY season! Get out and experience it! Volunteer consider volunteering for a Walking School Bus in your community. Every school district where walking is feasible has one in Fayette County! Contact Community Health at wegner@palmerlutheran.org or call 563-422-6267 or click here to learn more. This entry was posted in Active Living, Guest Post by Northeast Iowa Safe Routes to School. Bookmark the permalink. I love the 5-2-1-0 principle. Simple and yet it says it all. Thanks!